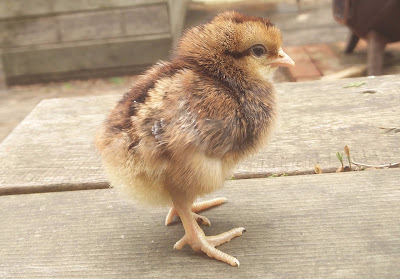 Cream Crested Legbar chick at 2 days old. 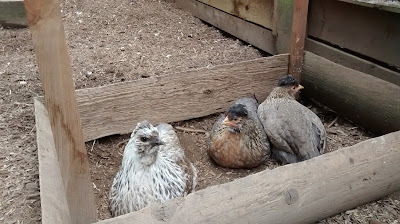 Purchased after they hatched and placed under broody Kate during the night. When morning came, she thought her eggs had hatched and started raising them. 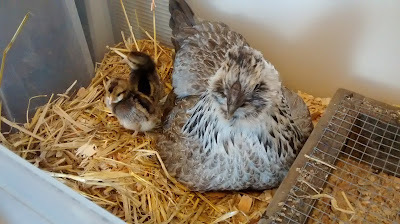 Kate and chicks, kept inside the first few days. This is her first time being a Mom. Chicks at 2 months old are finally named: Robin and Lily. They still like to hang around with their Mom, like when she's taking a dust bath.